You are currently browsing the tag archive for the ‘seth apter’ tag. i’ve been feeling quiet lately and haven’t gotten around to posting or visiting other blogs. my gram passed away on the 1st of february and my energy has been spent making large memory boards for her funeral and reflecting on all of my wonderful memories of her. she was such a gorgeous lady, and lived 92 long years. i want to try to paint her next. sorrow can be inspirational for me, as weird or messed up as that may sound. so i’ll be quiet a bit longer while i paint and pep myself back up again. 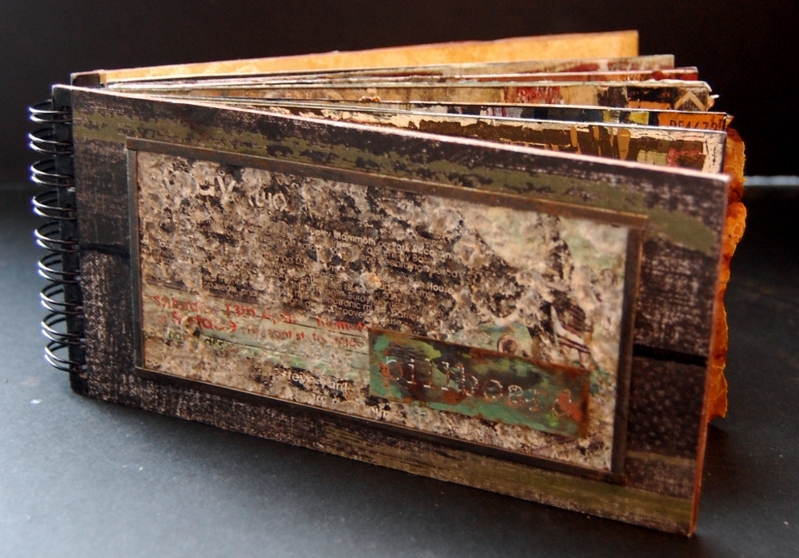 it’s about seth apter of the altered page. i am very proud to share that i will be part of his “master class” post for tomorrow. there he will be sharing artist’s answers to the question “If you could take a class from one artist from anytime in history, including the present, who would it be and why?”. i am quiet excited to read it as to be perfectly honest, i’ve forgotten my response as it’s been such a long and crazy year. i am also always very interested in hearing what other artists responses are and am going to read this very first thing after i procure a steamy hot cuppa strong coffee in the morning. go check out seth’s post and when you’re done, i’d love to hear your response. who would YOU take a class from? if you haven’t done so already, head on over to amazon and pre-order your copy of seth’s book “the pulse of mixed media”. this is going to be the best book of all time, and i am so proud to be included in it as i know many of you are too. such great company we’re all in! if you look at the preview, you may get a peek at one of my pieces in the book, or even be able to spy a goofy picture of me (not that anyone in their right mind would want to, hah). 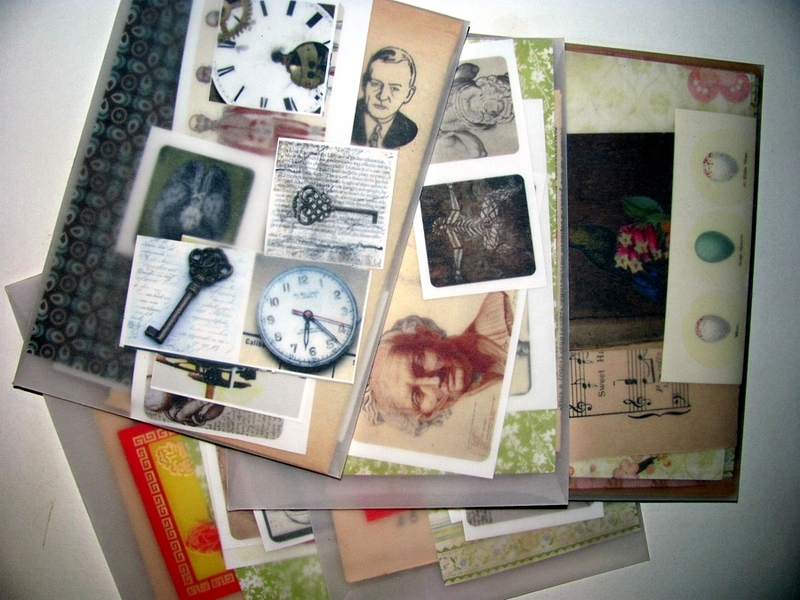 lastly, don’t forget that there is still time to submit to the altered bits zine for any of the following four categories: tattered and torn, cabinet of curiosities, an artful retelling of history & altered and handmade books and pages. there is a bit space left and i would LOVE to include YOUR work. 🙂 i need to get my arse in gear and finish MY pieces. life been way too full these past six or so months but i’m bound and determined to get it done. more soon — have lots of other great news but am not feeling particularly chatty or my typical witty self so will share another time. what an exciting month july is! happy belated fourth of july to those in the states. we had a blast at our house. The Pulse, founded by Seth Apter of the Altered Page, is a collaborative project that aims to introduce you to new artists, help you get to know familiar faces even more, and allow you access into the creative hearts and minds of a very talented crew of individuals. More than 130 artists have answered a series of questions which make up The Pulse. Their responses will be presented in a series of online posts which kicked off July 2nd, 3rd and 4th. 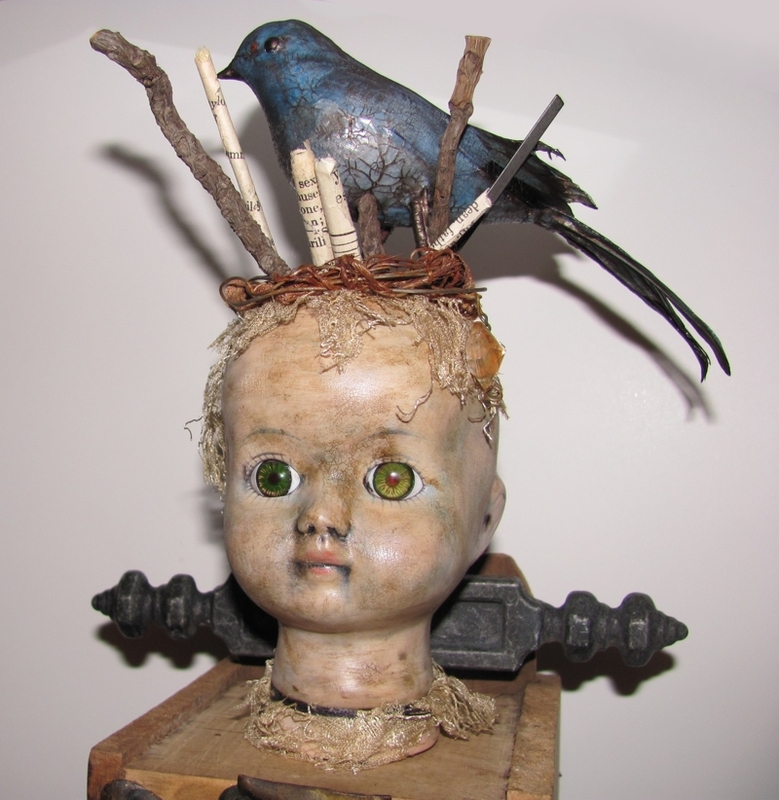 The posts are chock full of AMAZING art and links to the artists websites — go check it out! This will be continuing every Sunday until about the Spring of 2012.
as a gesture of gratitude to all of my wonderful readers, i whipped up several little vellum envelope collage packs with collage sheet images, vintage book pages, printed papers and such to send off to five lucky winners (some also have vintage stamps, chipboard pieces, handmade papers and gears). i will be having a giveaway for four of these this coming weekend here, and one for someone on facebook. all winners will be announced july 10th. on a side-note, it’s just occurred to me that all but one of the packs have anatomical images so hope you like body parts as much as i do. 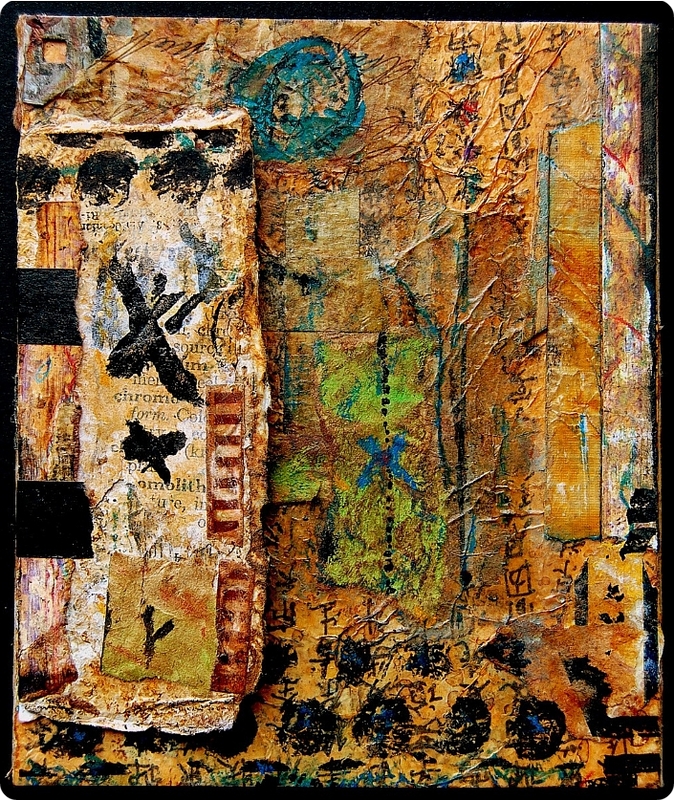 most of the images are from new collage sheets that are not yet listed on my site. just leave a comment here or on facebook to be in the drawing. last, and certainly not least, i wanted to share in advance that i will be doing an interview with jema “emilly ladybird” hewitt regarding her recent book “Steampunk Emporium” on the 11th of this month. i can’t wait to share this with those of you who are into steampunk and/or jewelry and/or oddments and/or costume design. 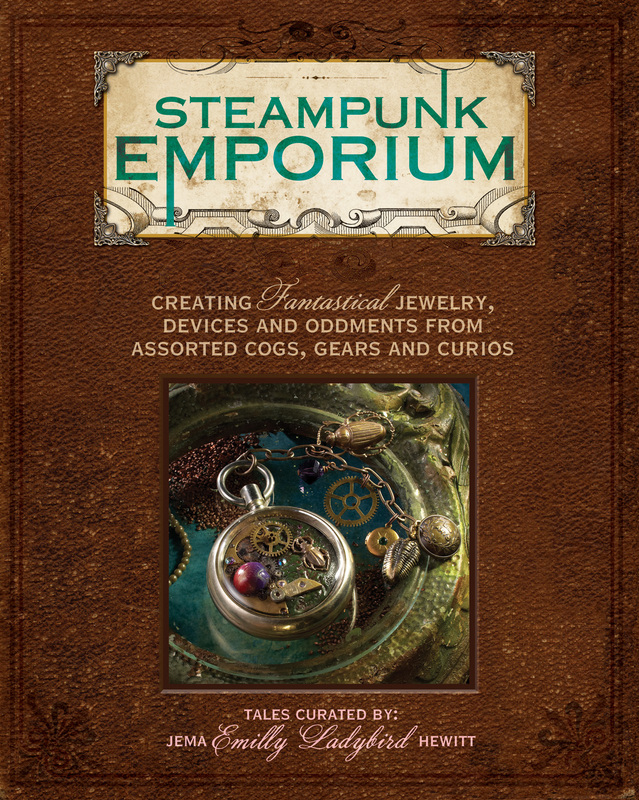 there will be yet another july giveaway for this: one free copy of the book “Steampunk Emporium” and a little steampunk + other goodies bag from me with gears, watch parts, cogs, 1940s vintage beads, etc. i hope you all have a magnificently creative start to the new month! i’m working on three new series and some paintings — if only i could just sleep once a week so i could get done all that is in my mind!! phew! i swear to gawd and goddess i thought i was going to die for a little bit there. i ended up having two horrible recurring bouts of pneumonia after only a half day here and a whole day there of feeling better. one night, i was so sure i was going to drown in my own body that i wrote a long “love letter” to my son, praising him for all of the wonderful things he is and telling him how proud i am of him, sharing that i know he’ll grow up to be a great and wonderful man who does amazing things. i didn’t die, thankfully, but after 8 days of a 104 fever and four weeks of coughing so hard i nearly passed out and then breaking ribs due to said coughing, i sure thought i would. it’s nice to be back, and alive… and ready to art it up again. very belated happy new year!! there are so many exciting things that i’ve wanted to share, though i’m quite sure that at least 79% of you are already aware of 96% of it so i’ll just mention the biggies. 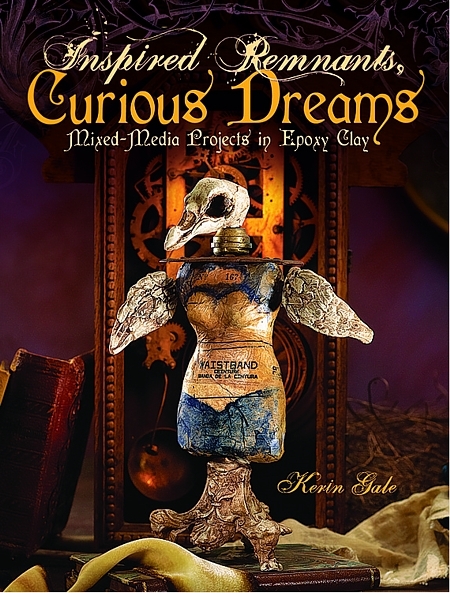 first and foremost, i am sooooo very proud of my wonderful and sweet and utterly talented friend kerin gale of remnants of olde for publishing her very first book, inspired remnants, curious dreams, which happens to be THE very first book on epoxy clay in the existence of this world. she is a creative genius, that girl! you can get your copy here on amazon, or even better, in her etsy shop bundled with her online classes HERE. check back here soon as i will be writing a review of her book and posting it here and on my site as well. i promise you’ll love it! 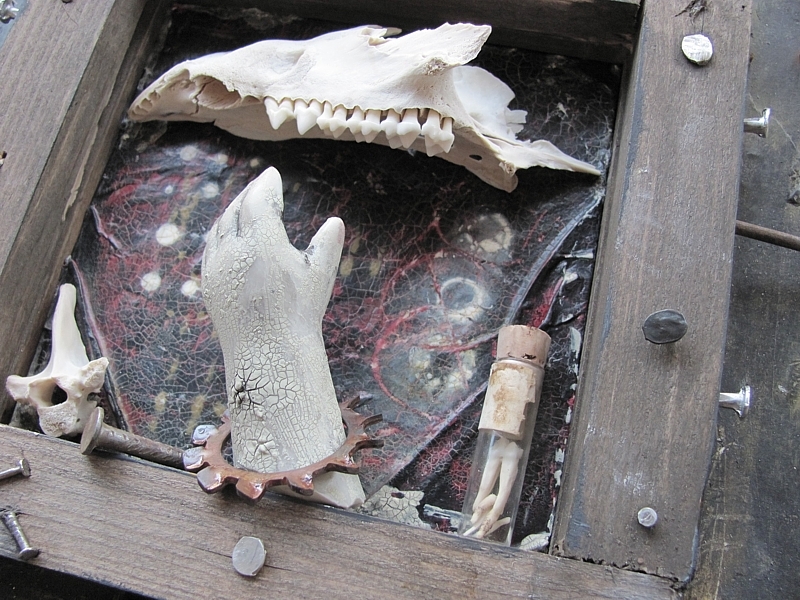 next news, seth apter, king of the mixed media world and his blog the altered page has begun a wonderful new installation of the pulse, entitled “collectors edition”. 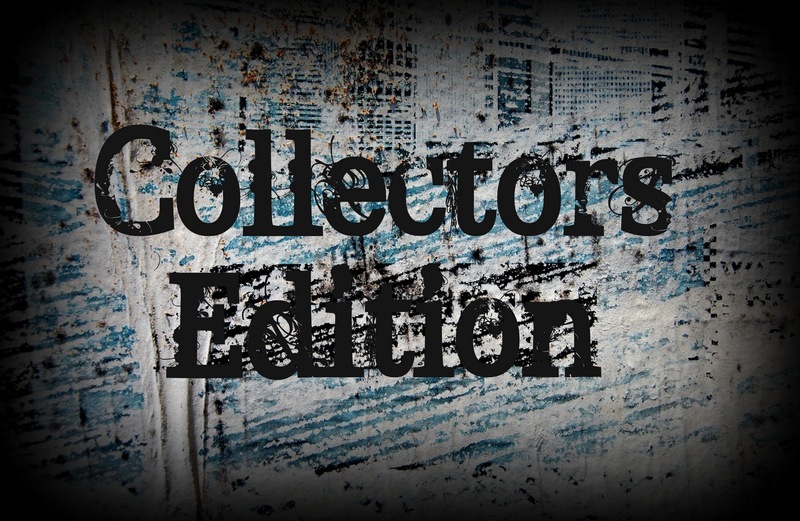 i just happen to be in the collectors edition chapter two, which you can find by clicking on his lovely image below. 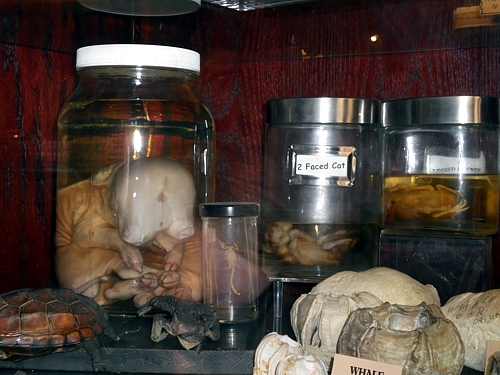 this is such an inspiring and wonderful collection of peeks into other people’s collections. i LOVE it!! you will love it too. get ready to be inspired! in small news, i’m cleaning the heck out of my studio for the first time in about 4 years and downgrading in a huge way. i will be donating a lot of it to scrap and other local places (just sent a huge box to a school for children with autism and asperger’s syndrome), but will also be giving away LOTS of little things here on my blog. 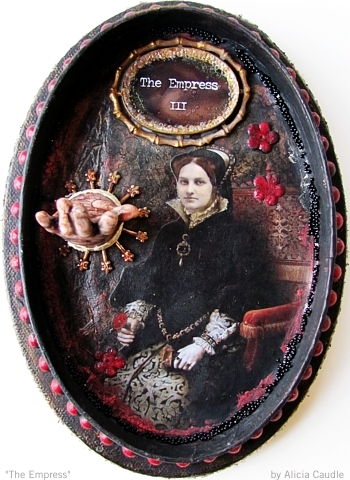 stay tuned for vintage photos, old metal coin charms, rusty bits of this and that, frozen charlottes (just got about 600 more which will soon be on my site), other vintage victorian dolls, and other totally random items. i want to share the love. oh, and last but not least, the altered bits zine deadline is going to be pushed out a bit farther. if you wish to be published, please read this: http://alteredbits.com/artzine.php and please have your work(s) to me by the new deadline of february 25th. i was on my death bed for so long there that i cannot keep up with the first plan, sorry folks. i was really good at taking my photos on may 1st for part two of the disintegration project but have slacked in posting them. the truth of the matter is that is was an insanely gorgeous weekend which is a rarity in portland during april and i got distracted planting peas and beans and basil and corn and tomatoes and carrots and radishes (even though i think they are gross) and peppers and… you get the picture. i also built 45 feet worth of a 55 foot fence on thursday and weeded about 55 gallons of blackberry bushes. it’s been a fabulous four days in the yard. the last time i’d checked on this bundle (my then five-year-old son designed it, as a reminder) it appeared to be a pile of mush in the grass. with all the new sun kissing it dry, it doesn’t look too bad. in a way it’s a bit sad, but it’s still super brittle and some of the metal bits are beginning to rust. to make up for “her” pristine-ness, i’ve opted to bury her for another 30 days. i thought that right next to this pretty little flower in a particularly wormy place would be good. let us hope she looks more disintegrated in thirty days’ time. to view more “reveals”, go to the altered page and look on seth’s side bar. there is so much eyecandy to gaze upon!